It's March. I'm getting impatient. The weather is showing no signs of warming up, while my friends in the States are bragging of temperatures of up to 60 degrees in places like South Hadley (thanks a lot, Brianne) and New York. Sigh. So I'm rebelling. I'm stocking up on my pastels and other spring-like attire while the days seems to just get colder and cloudier. I don't care. Yesterday, I saw frost on the tips of the grass in Embankment gardens on my way to work and it made me angry. So angry that I thought I would actually get out my bikini and sunbathe at lunch on the grass, just to act out in protest of this freezing cold. But I didn't. I just continued on my passive-agresssive technique of browsing pretty summer dresses online and day-dreaming about lunching on the grass and having to take Zyrtec allergy pills every morning (hay-fever sufferer here) again. How I long for those days. Looking forward reminds me of one summer libation I can't wait to consume: Pimm's and lemonade. (Interjection: "lemonade" in this country actually means Sprite or 7UP. If you want the tart, refreshing summer drink sold at stands by young children hoping to make some pocket money during their summer breaks in America, you ask for "cloudy lemonade" - don't ask me why) Now, I don't really drink (more on that later). But something about Pimm's and Sprite, combined with slices of orange, lemon, cucumber, strawberries and a sprig of mint (not to mention some sunshine) makes me insanely happy. Think it brings back memories of punting in Oxford and just the thought that drinking Pimm's means it's officially summer. 1. I love that I get a shout out as the bragger in the first paragraph. I feel famous. 2. I heart Pimm's and lemonade, I used to work at an outdoor restaurant in Covent Garden and people used to order those all the time. I'd look on jealously and then order one when I got off. 2. Was this outdoor restaurant Fuel Bar by any chance?? 3. YES, come. Come with your baby!!! Pimms numbers 2 to 6 are equally good and tasteful: although possibly a tad more Cambridge than Oxford. Certainly less common. If and when the sun shines give them a whirl - but doubt you'll find them in Covent Garden. I DID work at Fuel Bar... I was a waitress there. It was fun screwing American tourists out of huge tips all day long. "Yes, sir, that 5 pound note IS pretty much the same as $5.00"
@flash_in_the_CAM I will have to try 2-6 this summer. @Brianne I can't believe you worked at Fuel Bar!!! Poor you, running up and down those stairs and entertaining the tourists and suits after work. you know, i believe you should take satisfaction in the knowledge that all us braggers here in the states will probably get some ungodly snowfall in may or something awful like that. so give us our lovely but sparse 60 degree days in march as our only solace that winter is so not over yet. 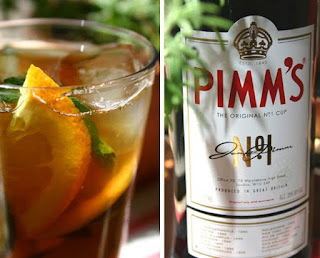 btw, pimm's o'clock sounds awesome.